Bahraini police have once again brutally dispersed a crowd of protesters calling for the release of a jailed activist serving a life sentence. 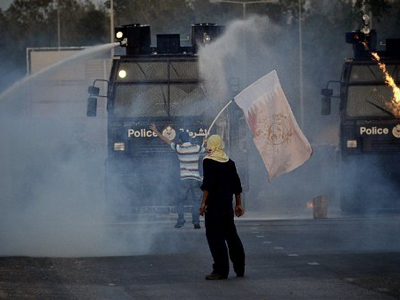 Witnesses say the Bahraini security forces used tear gas and water cannons against the demonstrators. 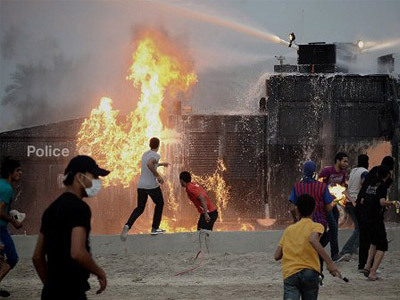 ­The protesters attempted to march toward the heavily guarded and razor wired Pearl Square – the “Bahraini Tahrir” – in the capital, Manama. They were calling for hunger striker Abdulhadi al-Khawaja, who was jailed during the beginning of the uprising last year, to be released. Al-Khawaja is now on his 11th week of a hunger strike in protest of the sentence. Meanwhile, a Bahraini court has further delayed Al-Khawaja’s and other imprisoned activists’ appeal hearings, though authorities had promised to review the sentences. 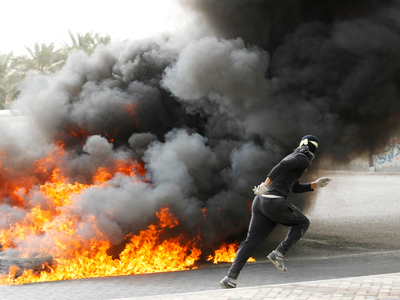 Over the weekend, as the Formula One Grand Prix was taking place in Bahrain, Manama was effectively put on lockdown. Some 7,000 protesters clashed with police, throwing Molotov cocktails, while the security forces used tear gas and rubber bullets to disperse the crowd. 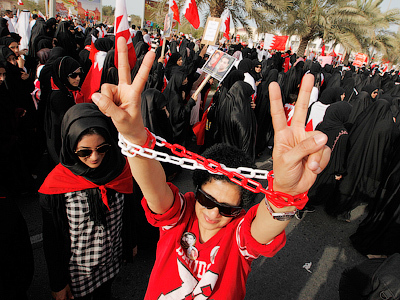 Bahrain has been ruled by the Sunni Al Khalifa family for around two centuries. 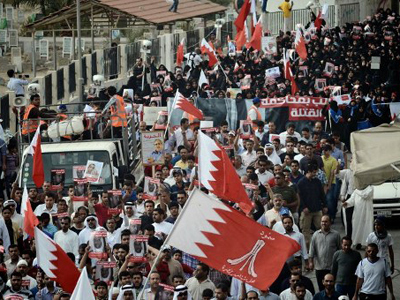 Last year, as protests broke out across the Arab world, the Bahraini Shiite majority started its struggle for democratic reforms. The UN estimates that over 50 people have been killed as a result of police brutality during anti-regime protests since then.